I’m the head of the family you know! 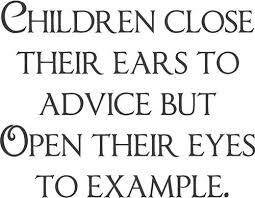 Being an example to your children and grandchildren is an obligation. One day Dr. James of the HOUSTON CLAN said to me,”I am the head of the family you know!”. I said nothing and let it be. But silently I thought to myself. Not my family. Maybe yours, however, I thought Dr. Bob (his father) was. You are not my brother (brother by marriage only, maybe) but if you want me to acquiesce to your authority you would have had to have been there for me when I was alone and disenfranchised, but you weren’t, were you Dr. James. My real brother was not there either. They are like two peas in a pod. The head of my family was abusive so why would I now bow to your self-appointed authority. I have leaned that the head of the family is a bad dude. I don’t think much of this one either. Dr. James and the HOUSTON CLAN decided that they wanted their inheritance before both our parents died. Our parents Wills stated that, upon the death of both parents their estate will be divided amongst the adult children on both sides. They didn’t want to wait for them both to die. I would suppose this routine of “I’m the head of the family” was an attempt at forcing me into silence and submission. In other words I will sit back and allow “the head of the family” to take for himself and his siblings what did not belong to them – yet. The lessons here are 1. waiting is a virtue 2. greed is not 3. What goes around comes around. It is my belief that the HOUSTON CLAN have now taught their adult children and grandchildren what to do when they get tired of waiting for their patents to die, to get their inheritance. Therefore, I suggest to the HOUSTON CLAN as you get old (and that is just around the corner) and become a nuisance to you children you have taught them what to do. Be ready. God forbid if you loose your abilities to make decisions for yourself.